That said, there is one piece of news that deserves some discussion tonight. 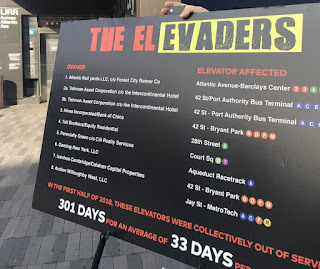 Yesterday, the TransitCenter, a nonprofit organization concerned with--duh--transit, announced The El-Evaders, stating that "eight of New York City’s wealthiest real estate owners are shirking their legal obligation to maintain and operate their subway station elevators at stations adjacent to their properties." 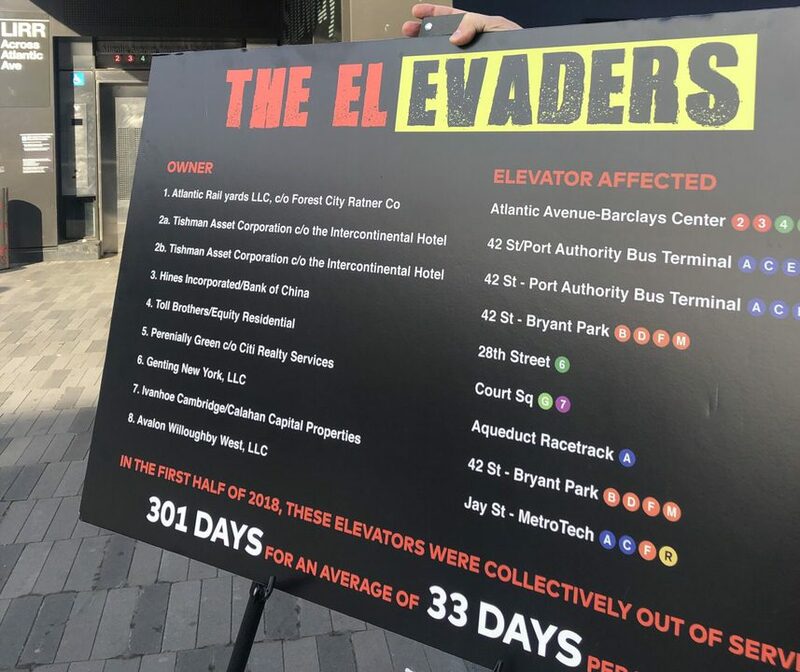 Such privately operated elevators actually make the MTA-maintained elevators "look good by comparison, which themselves need major improvement," according to the Transit Center. 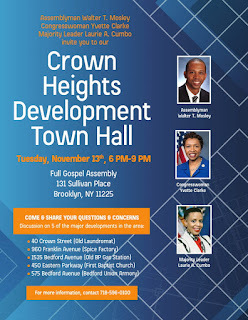 Onexim, previously Forest City Ratner owns the worst performer, an elevator that serves the 40,000 daily commuters at Barclays Center-Atlantic Avenue station, home to 10 subway lines and L.I.R.R. commuter rail. That elevator was barely more than a coin toss – for 88 days of outages. 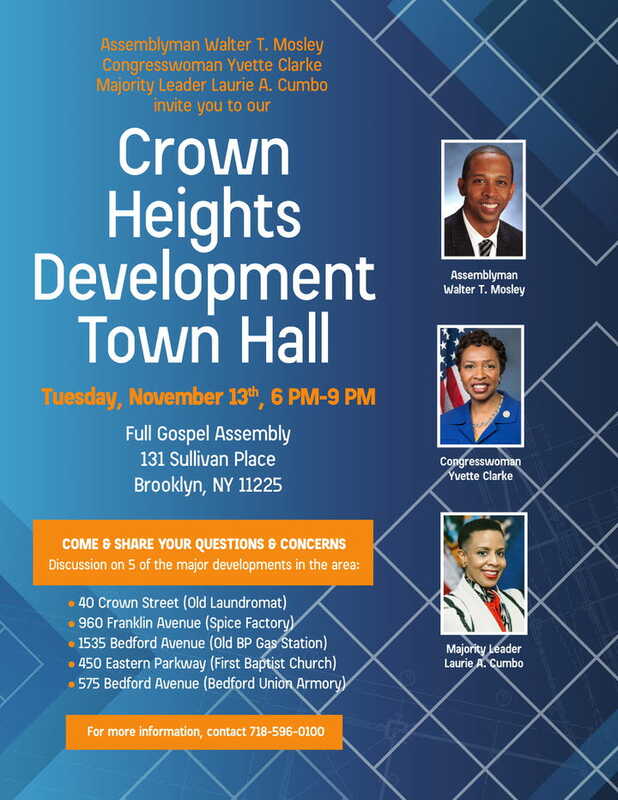 New York City Transit also needs to hold real estate developers accountable for their delinquent elevators. Charge them $1,000, $10,000, or $100,000 every day an elevator is out of service — whatever it takes to affect their bottom line. The MTA can’t fix its subway accessibility crisis if it’s unable to reign in these bad actors, and it show it can execute basic contracts if it wants Albany to open its wallet with money to fix our subway.